Reunion® Resort is the only destination in the world to boast three Signature golf courses designed by legends Palmer, Nicklaus and Watson. Innovatively routed on hilly, roller coaster-like terrain, Arnold Palmer’s 6,916 yard, par 72 Signature Course boasts dramatic elevation changes – up to 50 feet in some places – creating a unique variety of risk/reward shots. That varied menu of shot-making opportunities is further ensured by six tee locations on each hole, a variety of natural preserve areas, generously wide fairways and strategically placed bunkers across all 18 holes. Highlighted by fast, firm and wide rolling fairways, a variety of strategically placed bunkers and large greens, the 7,154 yard, par 72 Watson Course, a Signature Design by Tom Watson, is as much about strategy as it is about length. Demanding a well thought out approach from every player regardless of skill level, this course puts a premium on a solid short game with spacious green complexes where club selection can vary from putter to lob wedge to three-wood. From the bartenders at the resort's many restaurants to lifeguards on duty at the five-acre water park, the Reunion's staff is helpful, friendly, and professional. Room service operates under limited hours. Daily housekeeping is free, something not provided at the Disney villas and many other time-share resorts. Helpful front desk staff; concierges available during the day. This Parkland-style layout is smooth and flowing, with long horizon lines and elevated tee boxes and greens. Yet The Nicklaus Course, a Signature Design by Jack Nicklaus, can be as deceptive as it is beautiful. Designed to tempt golfers into hitting risky shots with potentially big payoffs, the course challenges the golfer to step up to the ball with a carefully organized series of shots in mind. No name is more synonymous with greatness in the sport of golf than Jack Nicklaus, and no single person has changed the face of the sport more than he - the player, the designer, and the goodwill ambassador. With a total of 20 major titles (including two U.S. Amateur victories), Nicklaus is the only golfer ever to win each of the four professional major titles - U.S. Open, Open Championship (or British Open), Masters, and PGA Championship - at least three times each. The Golden Bear, as he’s known throughout the golf world, brought his unique perspective and design acumen to Reunion® and has built a course destined to become a classic. The crown jewel of the resort, the 11 story Reunion Grande™ features our most luxurious one- and two-bedroom Estate Villas. Outfitted with top of the line amenities, they feature flat screen televisions with DVD/CD players, gourmet kitchens with granite countertops and stainless steel appliances, spacious living areas perfect for lounging or entertaining, elegant dining areas and a private walk-out balcony that overlooks the resort’s picturesque landscape. Guests at the Reunion Grande will enjoy an upgraded décor and technology package, as well as complimentary valet parking and nightly turn-down service. Centrally located next to the Golf Clubhouse, Reunion Grande offers quick access to Guest Services, a rooftop pool, restaurants, shops and the one and only ANNIKA Academy. Our Deluxe Villas offer all the comforts of home, providing a fully equipped kitchen, full-size TV and DVD/CD in the living room and master bedroom, dining area, living room with queen sleeper sofa in most units, private balcony with chairs and access to a Washer/dryer. Our Superior Villas provide upscale resort living with many details and amenities found only in the most exclusive developments. Each Superior Villa is open and inviting for families and couples alike, providing a large dining area and spacious living room for everyone to gather. With the convenience of a fully equipped kitchen boasting granite countertops and stainless steel appliances, roomy private balcony overlooking the golf course or lush conservation areas and flat-screen TVs and DVD/CD players, it’s easy to feel right at home. The Deluxe Homes at Reunion® Resort provide all of the comforts of home, offering full kitchens, spacious living and dining areas with TV, DVD/CD players and private patios with local neighborhood views. The Superior Homes at Reunion® Resort provide upscale resort living with many details and amenities found only in the most exclusive developments. Superior homes offer spacious living areas with TV and DVD/CD, separate dining areas, full kitchens with Corian or granite countertops and private patio areas each with their own private fenced or screened swimming pool. The homes have either a full or partial view of the golf course or a direct view of a lake or conservation area from either the front or back of the home. The Estate Homes at Reunion® Resort offer separate dining areas and multiple spacious living areas with outstanding features which may include such details as plasma TV’s, wet bars, wine chillers, billiard and/or card tables, elevated ceilings and outside balconies as well as gourmet kitchens with granite counters and crown molding. The homes have private fenced or screened swimming pools with a direct view of the golf course from either the front or back of the home. The huge, relatively stylish suites with marble-tiled bathrooms, balconies, and full kitchens are among the best condo units in Orlando. Offering much more than a typical hotel room, the guest rooms range from one-bedroom condo-style units -- like the cheapest room category, the One-Bedroom Villa -- to private, eight-bedroom homes. Like most Central Florida resorts, the rooms have a tasteful-if-muted color palate, and while the details of decor in each unit may vary, all are more stylish, modern, and impressive than you'll find at other nearby resorts, like the cheaper Mystic Dunes or the often more expensive Boardwalk Villas. Please note, however, that exactly where you stay within the resort is important: Because of the size of the property, trips from your room to the water park, the spa, or the golf course may necessitate using one of the free resort shuttles (they run 24 hours a day). The most convenient rooms are those in the central resort building, Reunion Grande, where the front desk, concierge, golf clubhouse, and most of the restaurants are located. Other units are farther afield, though all are near something -- the Seven Eagles section of Reunion, for example, is just a two-minute walk from the Seven Eagles pool, the fitness center, and The Cove bar and restaurant. If you find a particular amenity important, it's worth requesting a room nearby. The base-level room type, the One-Bedroom Villa, has 754 square feet of space, split between a MASTER BEDROOM, one BATHROOM, a BALCONY, LIVING AND DINING ROOM and a full kitchen. Elsewhere at the resort, two- and three-bedroom villas are available, as are stand-alone furnished vacation houses with anywhere from three to eight bedrooms. All rooms have SMALL BALCONIES ground-level units have patios. Conveniently situated on the main floor of Reunion Resort a Wyndham Grand Resort, Forte serves innovative Italian cuisine in a warm and inviting atmosphere. Indulge in prime cuts of beef, authentic pasta dishes and fresh seafood specialties, each designed to showcase the inspiring flavors of Italy. Food and family come together at Forte, a chic restaurant with a rustic tone that boasts one of the state's finest wine cellars. Select from over 250 wines from around the world - including California varietals, Italian reds and more - each matched perfectly with your meal. One of the trendiest Reunion restaurants you'll find, Forte is open for dinner only and reservations are recommended. Sitting atop the Reunion Grande - on the 11th floor, of course! - Eleven is Orlando's unparalleled stargazing destination. This glamorous, year-round indoor/outdoor rooftop lounge with pool offers stunning views and handcrafted cocktails. A modern American small plates menu features mouthwatering entrees perfect for sharing. Combining extraordinary dining with casual nightlife, Eleven is the ideal place to experience good food, good fun and good friends. Bar: Tues.-Thurs., 5:00 p.m.-12:00 a.m., Fri.-Sat., 5:00 p.m.-1:00 a.m., Closed Sun. and Mon. Enjoy classic American cuisine and comfort food at The Clubhouse, serving a large variety of options for breakfast, lunch and dinner. The Clubhouse is an ideal place to get together with friends, enjoy a few cocktails or indulge in delicious dinner favorites. With both indoor and outdoor dining, The Clubhouse boasts beautiful views of the driving range and the first and 18th tees of Watson's Independence Course. Soak up the serene green surroundings, savor the fresh American cuisine and indulge your taste buds royally at The Clubhouse. Hours: Open daily from 6:30 a.m. - 9:00 p.m. The Cove at Seven Eagles brings island flavor to the Seven Eagles Pool Pavilion at Reunion Resort. Our Caribbean inspired menu and refreshing smoothies will soothe even the most particular poolside appetite. Overlooking the Seven Eagles Pool Pavilion and the Palmer Legacy golf course, the Cove offers a menu of sandwiches, salads, snacks, and smoothies - all with tropical flair, as well as a full bar with daily happy hour specials. Enjoy delicious food with a view at The Cove at Seven Eagles. A sprawling, meticulously groomed mini-city of a resort with 411 condo-style time-share guest rooms, the Reunion Resort is many things to many people. While it is indeed a terrific place for groups -- the Atlanta Braves and Detroit Tigers baseball teams both stay here during spring training -- it's also a popular venue for weddings and it can host big families thanks to ample space in the rooms, which start at 754 square feet. 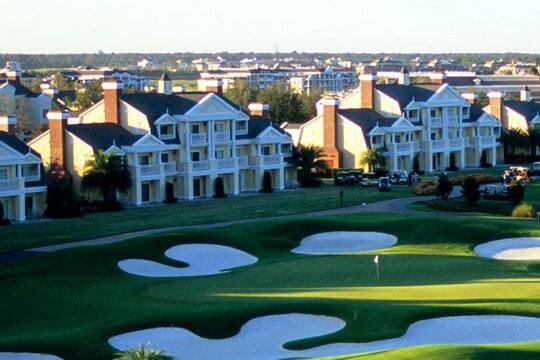 A bevy of varied and high-quality DINING OPTIONS, a spa, 54 holes of GOLF, TENNIS, kids' activities, and multiple POOLS (including the most elaborate water park south of Orlando) all work to keep guests on the property -- even if the Disney theme parks are just 15 minutes away by car. While many of Reunion's FEATURES are also on offer at other nearby Orlando resorts like MYSTIC DUNES and the OMNI CHAMPIONS GATE, the experience here is far more luxurious (and often more expensive). The most basic guest room, a massive, 754-square-foot ONE-BEDROOM VILLA, is comparatively stylish for Central Florida, with high-quality materials, private balconies, and understated golf-themed accents like throw pillows. Even bigger units, including full-size homes with thousands of square feet of space and as many as eight bedrooms, are also scattered around the property. An experienced front desk, concierge, dining, and housekeeping staff get to know repeat guests by name and treat first-timers just as well. Plus, as a cashless and "tipless" resort (all gratuities are added automatically to you final bill), you don't have to grease palms in order to get special attention. 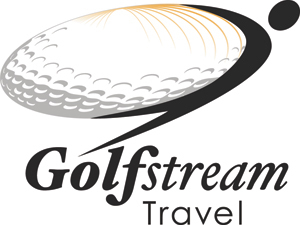 In 2011, the Reunion Resort came under Salamander Hotels and Resorts and, together with the Innisbrook Resort in Tampa and Hammock Beach Resort in Palm Coast, formed the Grand Golf Resorts of Florida. While no changes to the property itself occurred, the union of the three resorts promises specials for golfers looking to experience the some of Florida's best courses during one vacation.